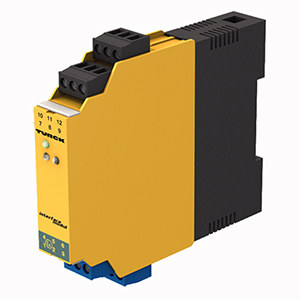 Everywhere, where digital signals must be electrically separated and processed or current and voltage limited power supply is needed, TURCK interface devices are used such as isolating switching amplifiers, valve control modules, relay couplers and rotation speed monitors. The interface devices are available in the IP20 modular housing for DIN rail as well as in the compact IP67 housing for decentralized remote-site use. The product portfolio also comprises solutions for the Ex area and SIL-certified devices.